When you are charged with planning services, a memorial, or a tribute to the life of a loved one in Fremont CA, there are two outstanding funeral providers right here to help you. We are the Rose family, and we own and operate Fremont Memorial Chapel . We suggest you contact us with any support you may need when making the final arrangements for a loved one. We run an outstanding family owned funeral parlor with all the services and assistance you would expect from a full service funeral provider. We all know may be difficult to trust someone you do not know to take care of final arrangements for a loved alone. During the years we have been in the funeral business, we have managed to create a reputation for dignity and quality in the funeral services we offer. We proud to say that our directors are aware of every aspect and detail from the start to the conclusion of the funeral service. Fremont Memorial Chapel offers an array of services from cremation to traditional graveside burial. We also offer Catholic Traditional funeral services as well as Indian funeral services. We also provide funeral shipping services. We respect and serve all denominations. All funeral arrangements are in accordance to the plans of our clients combined with the guidance of our experienced professionals. We are able to handle any aspect of a funeral service including pre-arranged funerals. 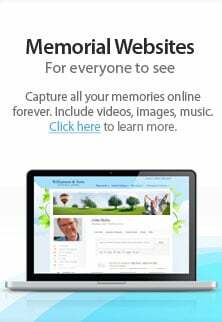 Within this website, you will find some online resources to give you ideas, to inspire you, and to help you work through your grief. With our online grief support you’re assured of our commitment to helping you through this difficult time. It doesn’t matter what time of day, or what day of the week you need support, we're here for you. You can access online counseling services, join in group grief support, or watch our interactive videos, anytime: 24/7. No matter how you feel at this moment, you have our commitment - you're never alone. It is healing to honor, remember, and celebrate the life of someone you knew and loved. Preparing a memorial or a service for a loved one who has passed can be the beginning of the healing process as we grieve our loss. The Fremont Memorial Chapel offers a variety of service options, from a traditional service to a uniquely personal celebration of life.We help you honor the memory of your loved one, the relationship you shared, the memories you shared. You can have your service anywhere, and any way, you want. Your choices include the place of celebration, day of the week, and time of day; the musical selection, what prayers will be said or songs you’d like sung. We can arrange to have doves, butterflies, or balloons released at the close of the service. We’re here to help you create the most memorable and meaningful service to honor your loved one. Honoring the life of your loved one means you value the relationship you shared. We look forward to helping you decide how to celebrate that bond, and honor the unique individual you've lost. We can make suggestions to enhance your tribute ideas. Together we will create a fitting and memorable event. Contact us today to discuss the possibilities.